On Remembrance Day each day we Canadians are committed to remembering our veterans and the global conflicts in which they fought. There are no longer any living veterans from WW1 and the number from WW2 is dwindling. We sometimes forget that nearly twenty-seven thousand Canadians participated in another war on the Korean Peninsula only five years after WW2 ended, as part of the United Nations response to the invasion of South Korea by the North, and fewer of them are still alive. 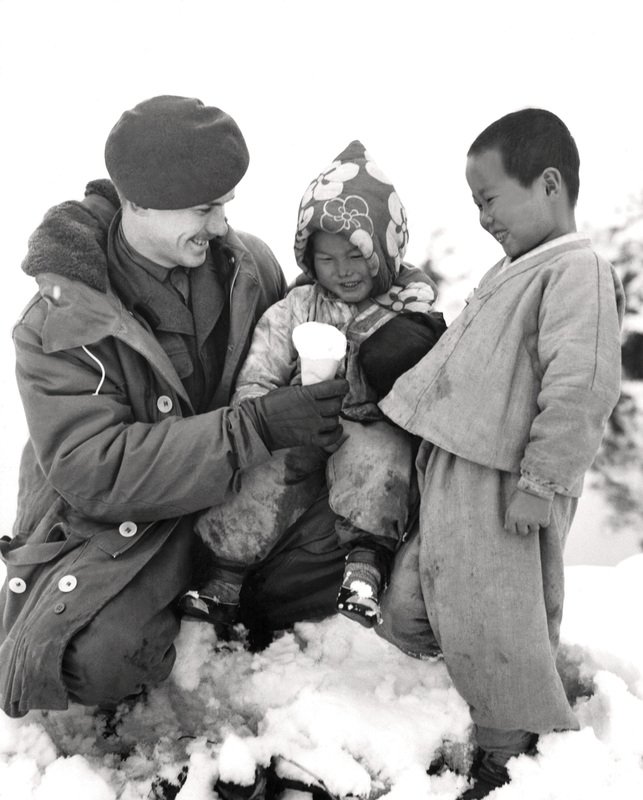 After the two world wars, Korea remains Canada’s third-bloodiest overseas conflict, taking the lives of 516 Canadians and wounding more than 1,200. The sacrifice of these men and women for the global good should not be forgotten. While the conflict ended in 1953 and the last of the Canadian peacekeepers left in 1957 the two Koreas are still technically at war, nearly seventy years later. A zone about four kilometres wide was set up between the two nations which is called the Demilitarized Zone or DMZ. Through the decades there have been many skirmishes in that zone and at sea, along with threats of aggression by the North Koreans. The biggest concern has been the development of nuclear weapons by North Korea, along with the ability to deploy them over ever greater distances. In recent months the ridiculous thug of a leader, Kim Jong Un, has launched missiles into the sea around Japan and claimed to have the capacity to strike the United States. The response of American Un-president Trump has been to huff and puff about having a bigger nuclear button that Kim Jong Un and threatening total annihilation. There has been growing concern about an inadvertent stumbling into another global conflict with disastrous consequences. As we have all kept an uneasy ear to this escalation we got surprising news that Kim Jong Un would begin dismantling North Korea's nuclear arsenal and that leaders from North and South would be meeting to discuss peace between the two nations. This week they did meet in the DMZ and signed the Panmunjom Declaration for Peace, Prosperity and Unification on the Korean Peninsula. 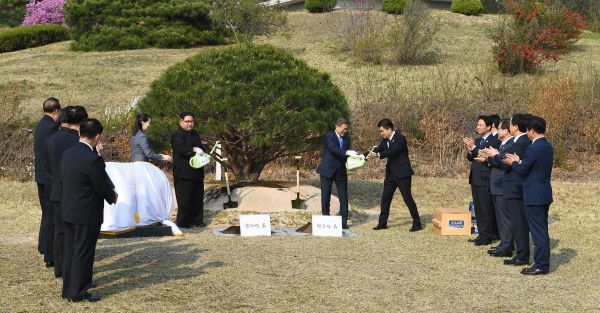 The document commits the two countries to a nuclear-free peninsula and continuing talks to bring a formal end to the Korean War.They planted a tree together, from 1953, and then ended the summit with a formal dinner. It's tempting to say "was that so hard?" or "what took you so long?" But we can't be flippant about this development. Pundits have pointed out that North Korea has made similar noises in the past, and Kim Jong Un is far from trustworthy, yet this step is significantly greater than anything that has transpired before. Still, we'll pray that diplomacy will take precedence over threats and posturing. I say this with deep conviction as I look to our world and see the folly of military aggression. Too often the innocent are collateral damage. All we are saying, if give peace a chance. We owe it to those who gave their lives in the past, and for future generations. North Korea is sometimes described as the "Hermit Kingdom." Read about the unlikely "Peaceable Kingdom" in the DMZ in today's Groundling blog entry.